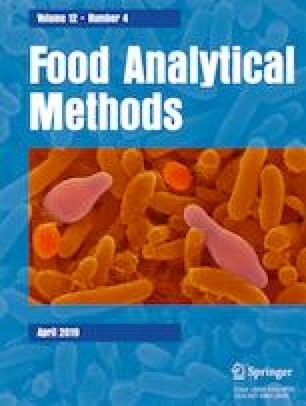 Near infrared hyperspectral imaging with multivariate image analysis was evaluated for its potential to grade whole white maize kernels. The study was based on grading regulations stipulated in South African legislation and aimed to provide an alternative to the tedious and subjective manual methods currently used. The types of undesirable materials regarded were divided into 13 classes and imaged using a hyperspectral imaging system (1118–2425 nm). Two approaches to data analysis, pixel-wise and object-wise, were investigated using principal component analysis (PCA) and partial least squares discriminant analysis (PLS-DA) modelling. Two-way classification models distinguished sound white maize from each type of undesirable material and were validated with independent image datasets. The pixel-wise PLS-DA demonstrated a high occurrence of errors (63–99% classification accuracy). The object-wise PLS-DA models yielded superior results, achieving 100% classification accuracy in 8 of the 13 models, with the remaining 5 incurring only one error each (98% classification accuracy). The overall classification accuracy achieved over the total 804 kernels/objects was 99.4%. Important spectral features were highlighted around 1219 and 1476 nm (associated with starch), 1941 nm (associated with moisture) and 2117 nm (associated with protein). An object-wise approach demonstrated good performance for distinguishing between the sound maize class and common grading defects and provided a classification for single, whole maize kernels, as would be conducted during the current manual grading methods. For industry implementation, this system may be simplified to a multispectral system for reduced cost and higher throughput. The authors thank Nicaise Kayoka from CRA-W for his support in the acquisition and pre-processing of the NIR hyperspectral images. This work is based on the research supported in part by the National Research Foundation of South Africa (grant numbers 94031 and 95343) and The Maize Trust of South Africa.